Geothermal power generation uses the natural heat of the earth to make electricity for homes and businesses. 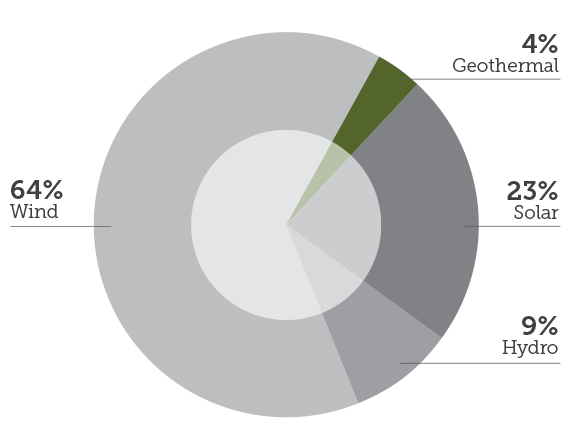 Berkshire Hathaway Energy has several companies that use or produce geothermal energy. For example, in California’s Imperial Valley, BHE Geothermal, operating as CalEnergy, owns 10 facilities that produce electricity solely from naturally occurring steam. They do this with geothermal production wells that tap into superheated water reservoirs thousands of feet beneath the earth’s surface to release tremendous pressure, which rushes to the surface. Once above ground, the steam is separated and used to drive turbines that generate electricity. Berkshire Hathaway Energy has an interest in more than one dozen facilities across the U.S. that harness or produce geothermal power. Geothermal energy is so efficient, the only real source of energy loss comes from turbine friction. Learn how geothermal resources far below the surface of the earth are able to be harnessed and turned into electricity for our customers.